Yesterday I posted a lament about the devolution of banking and the need for better, more transparent banking services. Lo and behold I saw a post in The Financial Brand “Easy Banking: The Simple Strategy” about a non-traditional bank called Simple.com. It is in essence a virtual banking store-front with no physical branches tied to a private-label banking and technology operations back office held at The Bancorp Bank which manages the FDIC insured accounts for Simple. Between the two organizations, they have developed a banking solution that customers are literally – well, virtually I guess – lining up to get into. 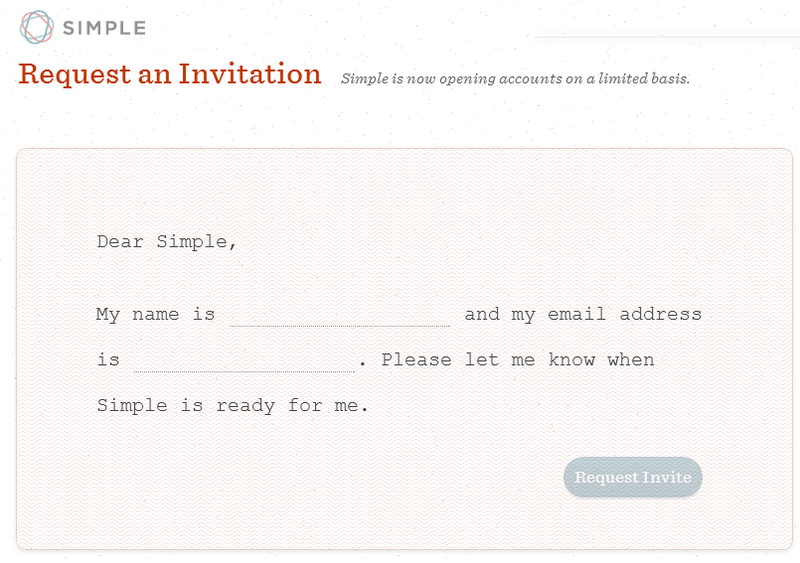 There is a waiting list to be “invited” to join Simple. While publicly traded banks are trying to grow as fast as they can while churning through new customers (as many as 25% of new customers will leave in the first 90 days and up to 50% within 18 months at the largest institutions,) Simple is going slowly to ensure that they can on-board customers properly. Or maybe they are just trying to build some brand buzz – but either way it’s working. Customers are raving about Simple and doing it very publicly. They are not just saying that Simple is great “for a bank” they are saying that it is great service -period. While the large, publicly traded banks have been scrambling to find new fee revenues, Simple.com does not make any money on fee revenue. None. Not for account maintenance or debit cards or overdrafts or ATM usage (except those passed through from other institutions.) They “simply” make their money off the spread and interchange – which is where banking began a long, long time ago. In 2011 Forester research evaluating how financial service customers rate US Banks, Investment Firms and Insurers, 14 of the top 17 companies were Insurance firms and 5 out of those top 6 were privately held (4 were mutuals.) Is it possible to “be a better bank” with shareholders clamoring for double digit growth year over year? Is it even possible to be a responsible bank under those circumstances? Just look at all the major banking scandals of 2012. The big banks may not have time to go back to a simpler time but it looks like the new “banks” are already there. I’m waiting for my invitation Simple!